Born in 1952 in Batuan and died in 1995. At 12 he started to learn painting from his uncle, I made Djata. His close connection with his mentor occurred for nine years. His creativity was clearly shown when he was able to combine his personal visual ideas with the strength of Djata’s his mentor’s work. Mostly his works were done in a relatively large canvas for Balinese Art from 60 to 80 cm. He use acrylic in solid tertiary color. His lyrical lines present the illustrated nature making it captivating. All of his themes derived from the wayang stories crystallizing his own philosophy. Murtika’s works are the interpretation of everything he heard or learned through lontar. Among his amazing works is kelahiran Anoman, sang kera Putih (1986) collected by German art collector. That particular work was exhibited in Bali during the celebration of American president Ronald Reagan’s visit. 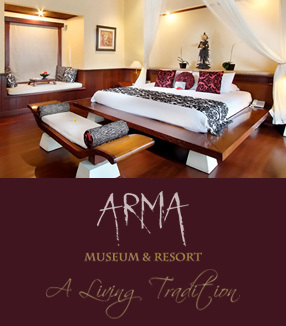 His work is also displayed in Arma Museum (Ubud).